Well, who’d have thunk it? 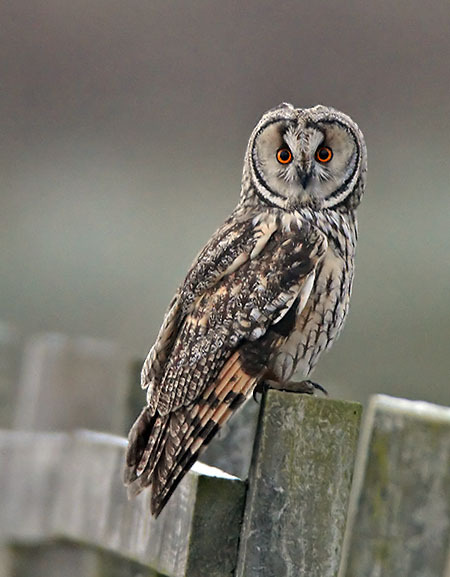 December brings, not one, not two, not three, but 4 owl species – yes, that’s correct! 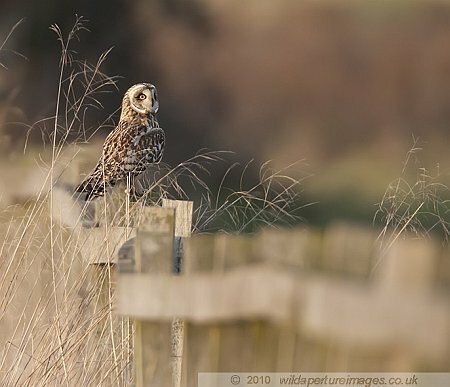 Count them – Little, Barn, Long-eared and Short-eared owls. It is quite possible that Tawny’s also live/roost here, so maybe all five! 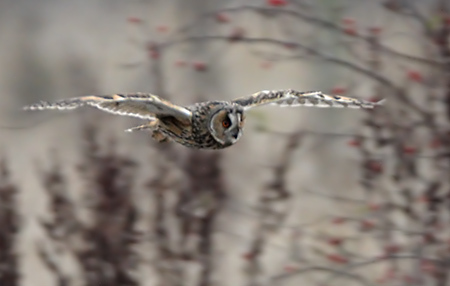 It began at the beginning of the month, when a Long-eared Owl was sighted, although there have been Barn Owl sightings for a while now. 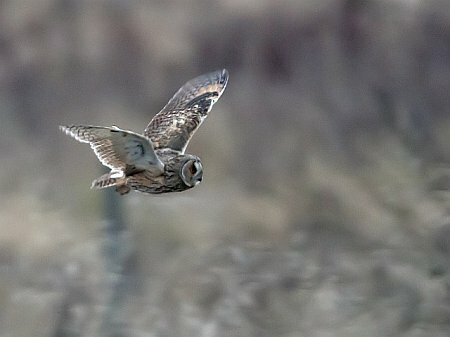 This was followed by sightings of a Short-eared Owl. 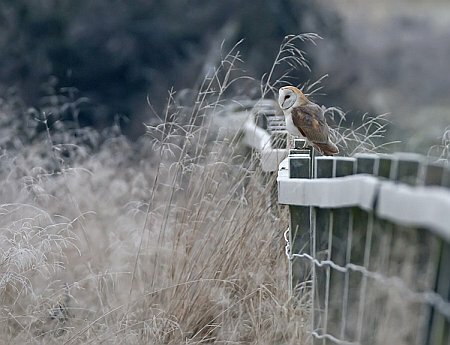 Later in the month, amazingly, there were sightings of 2 Barn Owls [presumed pair], 2 Long-eared Owls, 1 Short-eared Owl and of course the Little Owl across the river from the top gate. Putting out news on the pagers, of scarce wintering owls, is always fraught with problems. Don’t put them out – suppression, put them out – shed loads of visitors – both birders AND photographers. The one thing to remember in all this, is that “the welfare of the bird always comes first!” Generally speaking, this was the case, although when you get upwards of 50 people crowding round two small field gates, things can be difficult. However, overall I feel that the behaviour of the majority of visitors, local and strangers alike, was in the main, exemplary. You have to weigh up keeping crowds off the paddock fields, where the owls were feeding, in sub-zero, frozen ground temperatures, with the constant buzz of people, but then offset that against the literally dozens of dog-walkers who criss-cross these fields every day of the year – owls or no owls. The challenge for me, was to photo them all – a very tall order indeed. Well, I have so far [as of 30th Dec] managed a 40% hit-rate, if you count both pairs of LEO and BO as singles! This isn’t as bad as it first seems. 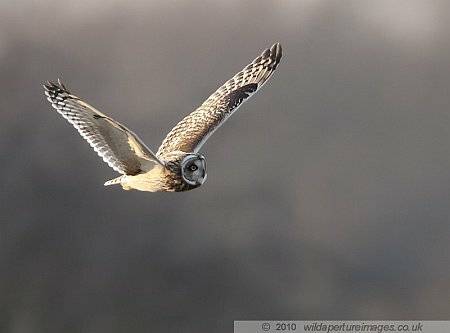 Photographing wild owls is much more difficult that birding them and that is difficult, unpredictable and time-consuming. 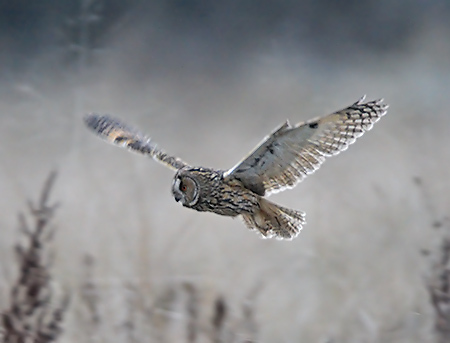 I have literally frozen myself to the same spot for over 40 hours over 6 days, waiting for the chance to get a few shots of these owls, with temperatures down to -13º C – no wonder I have a cold! 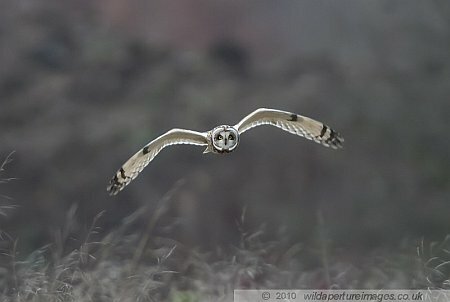 I have seen 5 owls – 2 LEO, 1SEO, 2 BO, but photographed only two. 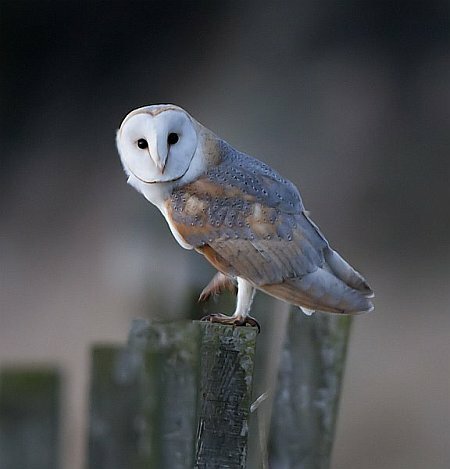 I have managed the Barn Owl [male I think] and one of the LEO’s. 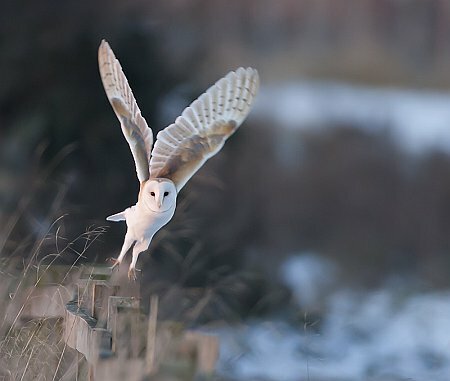 The Barn Owl is sightly easier, as it is appears at dusk, at dawn, at night and sometimes during the bright day. The LEO is dusk and mainly nocturnal. The SEO is diurnal. 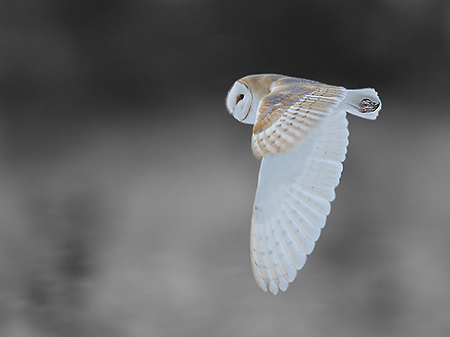 An early shot of the Barn Owl, taken at almost dark at approx. 16.20h. A shot of the LEO when it kindly flew in and settled on a post. This shot was taken at 600f4 + 1.4x tele, at ISO 3200, 1/30sec @ f5.6 – yep, nearly dark then! 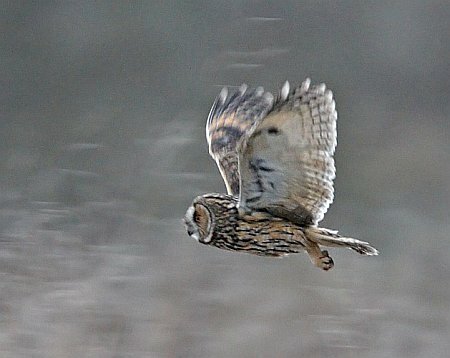 This owl did do some hunting for us, which was fantastic to watch, as LEO’s are primarily nocturnal in habit, however the shutter speeds were very poor and the camera ISO high, as the light had almost gone. BIF [birds in flight] shots at 1/50sec – not conducive to sharp images, but here they are anyway. Not exactly magazine stuff, but the best in-flight LEO shots I have to date. 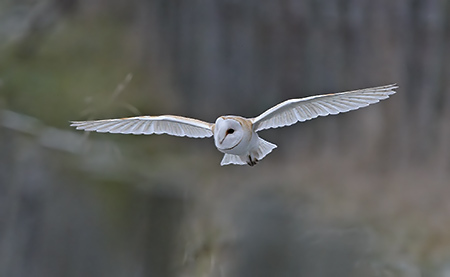 The Barn Owl was easier, not in terms of being out more, but mainly that it emerged at times of decent light. The paddocks must have held some food, for the owls to have fed there for 4 weeks. 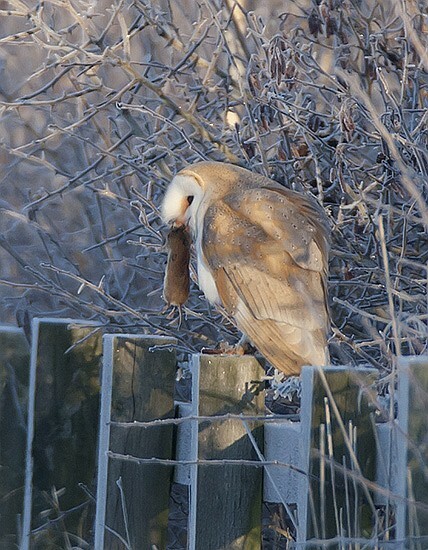 This Barn Owl has certainly found his Christmas dinner! I will leave this post open, in case I can fill it with Short-eared and Little, before the end of 2010! 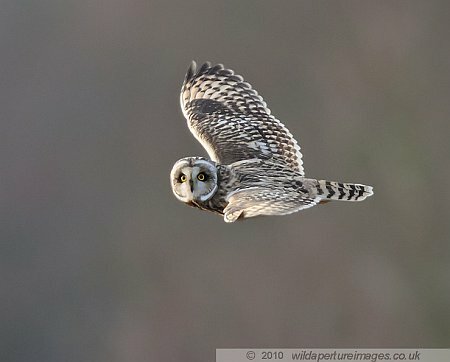 Well, the Short-eared showed well last Sunday (2/1/11) – here you are!